Jessie is always working on something, even if she’s not at work. 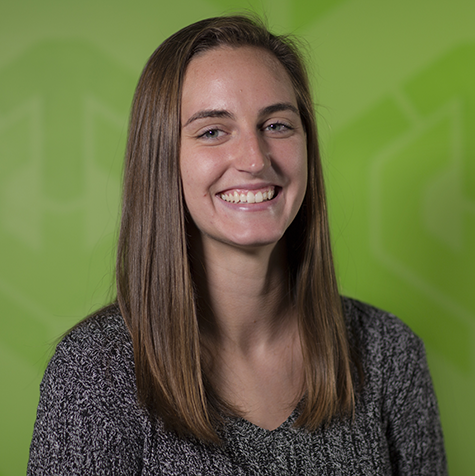 She creates logos and graphics and assists in building out presentations as a part-time graphic designer for TeamWorks. Her attention to detail and ability to stare at the computer screen for extended amounts of time make her the perfect person to go to when needing images cut-out in Photoshop or re-laying templates. Most of Jessie’s recent projects have been for La Vida Baseball, Big Ten Conference and Bank of America Chicago Marathon. When this Lewis University graduate is not doing work for TeamWorks, her other part-time job is at a retreat center in Plano, Illinois. Since Jessie clearly has a lot of extra free time on her hands, she also travels the country playing Ultimate Frisbee with her club team. Jessie hasn't written any posts.